Web Hosting Directory, http://webhosting-directory.org, operates under the following terms. By accessing and/or using the website, visitors take full responsibly for meeting these terms and maintaining compliance with any and all local laws. Usage of Web Hosting Directory may include, but is not limited to, advertisements, paid listings, promotional or sponsored links and the display and use of internet marketing related guides and articles. All services are offered at the discretion of Web Hosting Directory and may be suspended or stopped at any time for any reason. Potential reasons for termination include, but are not limited to, fraud or theft in regard to payments. Editors of Web Hosting Directory have full rights and privileges to edit, move or delete listings as necessary without any notice. Websites found to be breaking submission guidelines or these terms, even after approval, can be removed at the discretion of the editors. By submitting payment with your listing, you are requesting review. Payment does not guarantee placement, and any payments will be refunded if the submitted site does not meet our submission guidelines. Payment is made only through PayPal and 2checkout.com. Site reviews will be completed in 72 hours or less. Web Hosting Directory has the right to suspend or terminate any services offered by the website at any given time regardless of notice. Web Hosting Directory is also not liable to any user or third party in regard to provided services. Once published, listings are not eligible for a refund, but will be permanently removed at the request of the site owner. The material contained on Web Hosting Directory, including articles, website content, illustrations, artwork, graphics, logos, trademarks and any and all other components are protected by intellectual property laws. Unless otherwise stated, Web Hosting Directory holds all copyrights for site material. Any display or printing of material other than for your sole, noncommercial use must be approved in written form by editors of Web Hosting Directory. Web Hosting Directory is not responsible for the content of websites listed within our site. We are also not responsible for any products or services advertised on the site. We do not endorse any websites or advertisements displayed on Web Hosting Directory website. 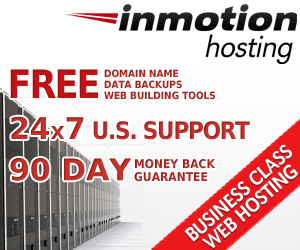 Web Hosting Directory makes no claim that this service will meet all of your expectations. We make no claim that the service will be uninterrupted, fast or error free or that the results from the service will be completely accurate. We also do not guarantee that the services, information and products you obtain through this website will meet your complete expectations. Please contact us for any additional questions regarding the use of Web Hosting Directory. Copyright © 2004-2015 Web Hosting Directory. All Rights Reserved.